There was no theme in this meeting, however, the theme might be “membership” as we welcomed again new members to our wonderful club. 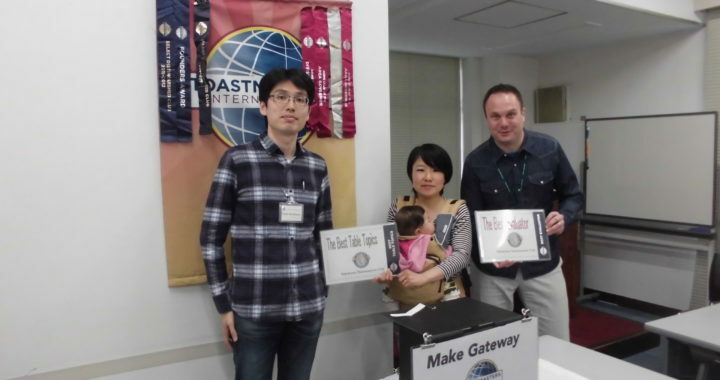 In addition to many guests, we held an induction ceremony for two newcomers. Furthermore, two members attended this meeting after a long time away!! One member had taken a long time off to attend meetings because of childcare, and she attended this meeting with her 5-month-old baby!! Her baby’s smile was so cute and made us happy!!! The other member lives in Okayama because of his Japanese sweets shop. 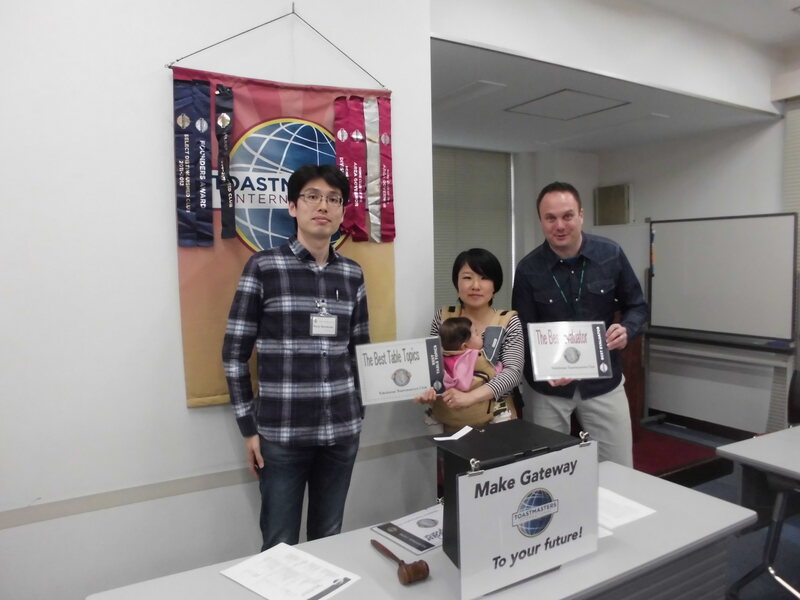 He attended this meeting for the first time in several years giving us a taste of Japanese sweets from his shop!!! It was so delicious!! Therefore, it was so crowded in the meeting room, but we could meet a lot of members. 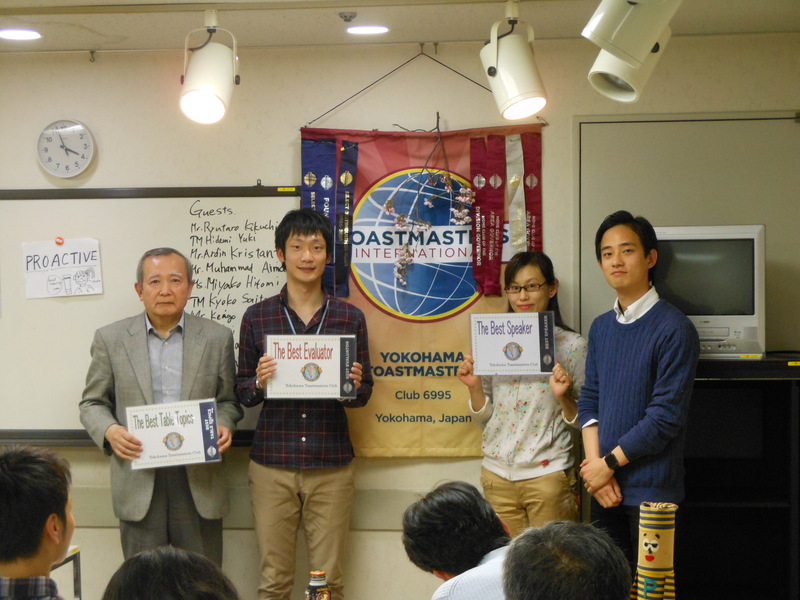 The theme of the table topics was “spring”. The questions were very relevant because Japanese tend to like and enjoy spring rather than other seasons. We had 5 speeches which include one ice-breaker speech. All the speeches made us think about something. The first speech was about dress in our speech. The second about “brain training”, the third about “taxes”, the forth about human relationship, and the last one was about crisis management. They were very useful for us. Thank you all and looking forward to seeing you at the next meeting! The beautiful season of cherry blossom has come! Did you have any cherry blossom viewing party in this year? On this day, we could enjoy a wonderful meeting while viewing a pretty cherry blossom that one of our members brought for this meeting! 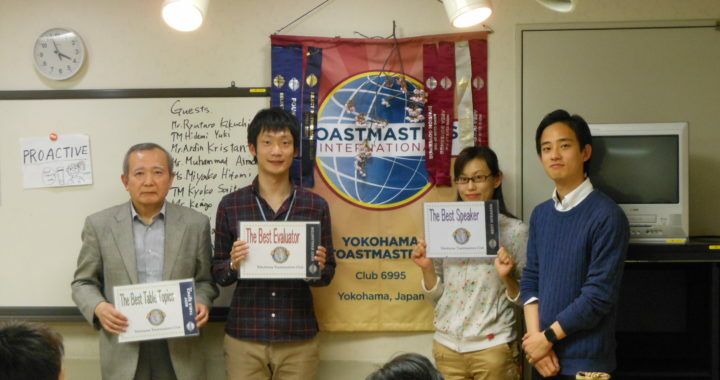 And the theme of the table topics was also “spring” and “cherry blossom”! We could enjoy “Spring” with many wonderful speeches. In addition this, a special guest speaker from Yamanote TMC joined our meeting and delivered a powerful speech. He will join next division contest as a contestant. We do hope he will win! !